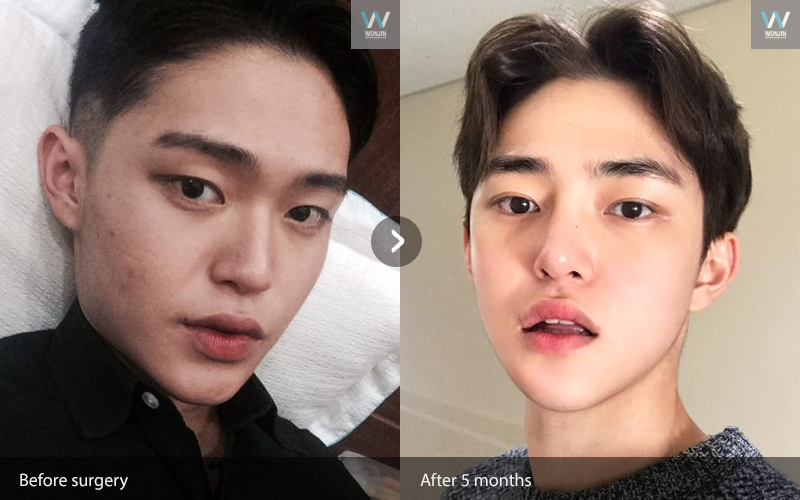 [Real Diary] Popular Plastic Surgery Review For Male Patients - 짱이뻐! I wasn’t interested in the way I look when I was in high school. However, when I got in the college, there are lots of good looking people. I got interested in the way I look and I got a complex about my appearance such as low nose bridge and wide square jaw. I was keep looking for plastic surgery and my friends recommend Wonjin Plastic Surgery. 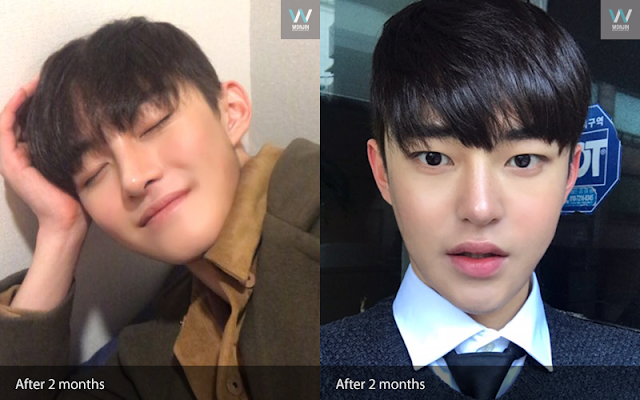 So I visited Wonjin Plastic Surgery to have consultation with surgeon and I was really satisfied. 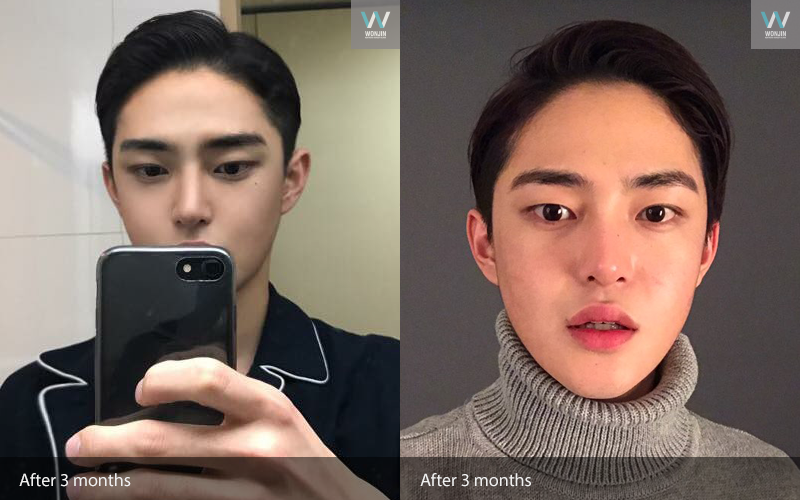 At first, they showed simulation photos for the surgery and also explained that the surgery has to be performed to have ideal facial structure. 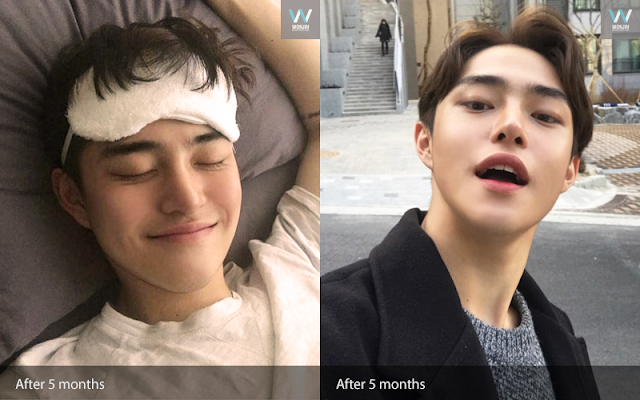 Therefore, I decided to get a surgery at Wonjin Plastic Surgery. 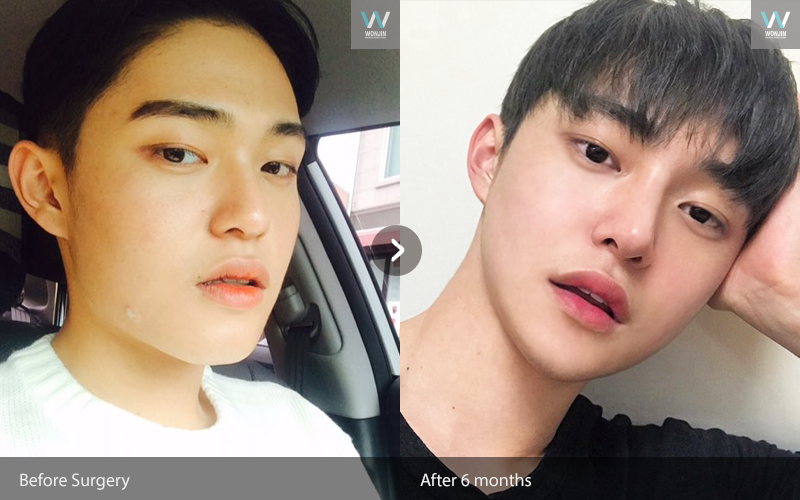 At first, I just thought maybe I shouldn’t have surgery because I didn’t feel pain but I had little hard time breathing because I had a rhinoplasty. Now it is much better than a day after surgery. However I still have swelling-! 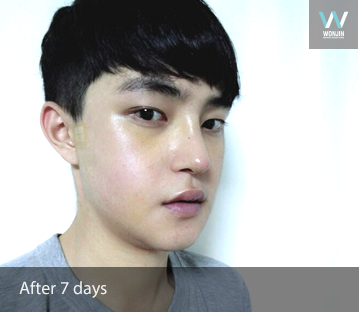 I would like to have anti-swelling care at Wonjin Plastic Surgery. I want to have natural looking as soon as possible. I can’t close my mouth because of major swelling. However major swelling subsided in a week. At first, it was difficult to breath because of nose surgery but I feel much more comfortable now after removing splint. I had an injection to subside the swelling on the seventh day. Now I can go out without wearing mask! The stitches inside of mouth will be removed next week then I can eat everything! I still need time to recover but a lot has changed. I can start to eat normal meal but I should careful with it. Now I can also go out, wear a mask. I am also having anti-swelling care as well. I want to know my condition after a month. I don’t have any problem now! I felt uncomfortable right after surgery. However, I returned to the army and discharged with no problem. I still have little bit of minor swelling but it should be subsided. 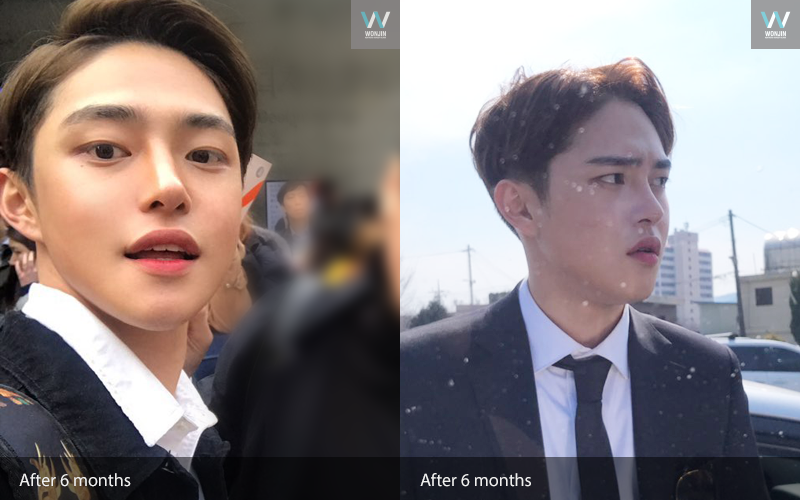 It has been almost 3 months after the surgery at Wonjin Plastic Surgery. I have no problem with performing my usual activities and they don’t recognize that I had a surgery! Now I can eat solid food. 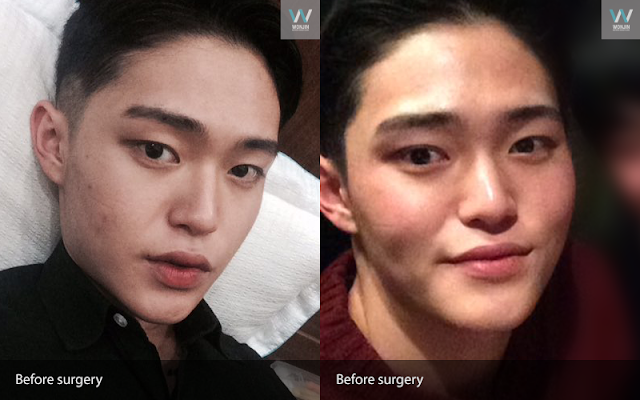 Also, I met surgeon for check up at Wonjin Plastic Surgery and he told me that surgery went well. I still have minor swelling but it should subside. I don’t worry about it! First few weeks, I had major swelling but now it is getting more natural. Actually, my friends can’t tell that I had a surgery. Thank you, Wonjin Plastic Surgery! There is no trouble but I still feel little bit of numb on my face. But I don’t feel any inconvenience. Now the swelling is almost subsided as well. I am doing great. There is no trouble in my daily lives.